Arsenal’s pursuit of Real Madrid star Isco has taken a blow after it was claimed Manchester City have made contact about signing him next summer. Gunners boss Unai Emery is understood to have targeted the Spanish international to help improve his squad at the Emirates. Emery believes the 26-year-old winger would add quality to his side as he continues to overhaul the Arsenal squad he inherited at the start of the season. 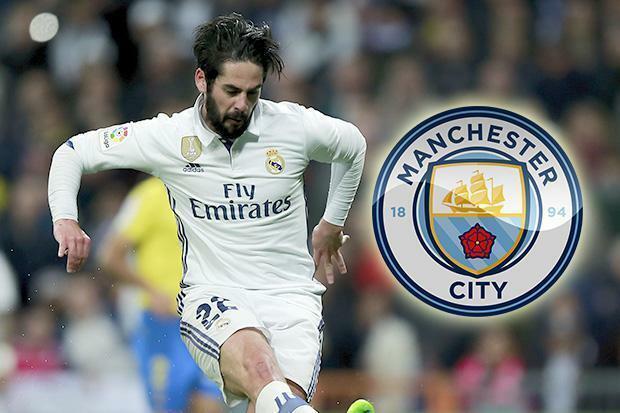 But their chances of tempting Isco to North London have been seriously threatened after reports in Spain claimed City have now made a move. AS say Pep Guardiola has identified the wide man as one of his top transfer targets for the end of the season as he continues to evolve his squad. And they say officials from the Etihad have already made contact through intermediaries to sounds him out about making the switch to Manchester. Isco still has another three years left on his contract with Real, but he has grown unsettled after being ignored by interim manager Santiago Solari. He has struggled for regular games, and when he does play he has been singled out for abuse by the boo-boys at the Bernabeu. With the Spanish giants struggling for form this season, it is Isco who has born the brunt of their frustrations as they jeered him from the stands. It has left his future at the club in doubt, and the player is believed to be open to the prospect of leaving the European champions. Arsenal believed they were in a strong position to make a pitch to the winger about joining up with Emery. That would be increased if they can secure a top four finish or win the Europa League this season, enabling them to qualify for the Champions League. But City making a move would provide a real challenge for the player’s services, given how far ahead of the Gunners they are at present.